Champasak is a quaint and unique riverside province in southern Laos. This heritage town was a seat of royalty until recent times, and played witness to many historic battles. The town has been influenced by a variety of cultural and ethnic influences, and several stellar examples of French colonial architecture line the town’s charming streets. Champasak remains an eclectic mix of the old world and the modern, as cars and motorbikes bikes jostle with bullock-drawn carts on its crowded roads. 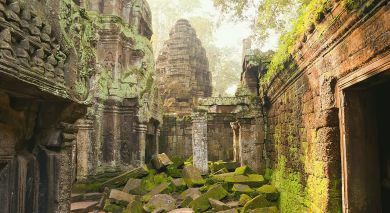 Champasak’s chief attraction is the crumbling Khmer ruins of Wat Phu, a UNESCO World Heritage site. In the centre of Champasak town, Inthira Boutique Hotel is 40kms from Pakse and 50kms from Pakse Intl. La Folie Lodge sits on a secluded beach facing the ruined Khmer temples of Wat Phou. This new 2-story hotel on Dong Khong Island's waterfront at Ban Kang Khong overlooking the Mekong River, is one of Laos' famous attractions, easily accessible to all tourist sights. Travel by road east into the Bolaven Plateau, formed by an ancient volcano and famous for its coffee and tea plantations. The Bolaven Plateau is known for its cooler temperature being located high above the Mekong Valley. The first stop is a visit to Houey Ten, a village specializing in knifemaking. Head to a tea plantation followed by a halt at Tad Fane Waterfalls, beyond which stretches Dong Hua Sao jungles, from where perfectly timed beautiful twin falls originate. Later, stop at a coffee plantation en route to Tha Teng Market, a colorful ethnic minority food market. Next, explore a couple of fascinating minority villages – Ban Bong Neua, an Alak village boasting a sacrificial altar, and Ban Kokphung, a Katu village where coffins are kept under their homes. Arrive at the beautiful Tadlo Waterfall by afternoon. After a short rest here, journey back to Pakse stopping at another picturesque waterfall, Paxuam. Arrive back in Champasak by early evening. See the pre-Angkorian Wat Phou temple, built between 5th-13th century. A UNESCO World Heritage Site, Wat Phou is part of the greater Khmer Empire, linked via ancient highways to Angkor Wat in Cambodia. The lower part of this ancient Khmer religious complex has two ruined palace buildings at the edge of a pond, the upper section is the temple sanctuary itself. Climb the crumbling stairway adorned with ‘nagas’ or snake heads. 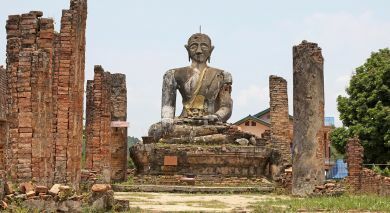 This dramatically located temple is one of the foremost highlights of any trip to Laos. 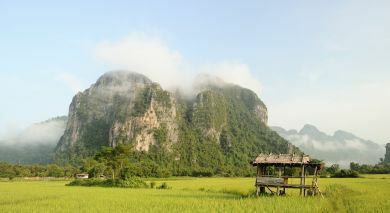 Post breakfast, board a local private boat for a tour of Si Phan Don – 4,000 Islands. Reach the picturesque island of Don Khone with French colonial era remnants. Explore the island on bicycle, tracing the route of an old abandoned railway and admiring the beautiful Liphi waterfall or Corridor of the Devil. Locals lay fish traps at the bottom to catch fresh fish. Return to the boat heading back to the mainland. Visit the spectacular Khone Phapheng Falls, one of the largest and most powerful waterfalls in Southeast Asia, stretching an impressive 10 kilometers. 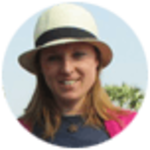 From here, one of the few places in the world where this is possible, board a boat on the Mekong to see rare ‘Irrawaddy’ freshwater dolphins, that reside in deep pools near the Cambodian border, and if lucky, you may just catch a glimpse. Return to Khong Island by car, arriving late afternoon. Travel by road east into the Bolaven Plateau, formed by an ancient volcano and famous for its coffee and tea plantations. The Bolaven Plateau is known for its cooler temperature being located high above the Mekong Valley. The first stop is a visit to Houey Ten, a village specializing in knifemaking. Head to a tea plantation followed by a halt at Tad Fane Waterfalls, beyond which stretches Dong Hua Sao jungles, from where perfectly timed beautiful twin falls originate. Later, stop at a coffee plantation en route to Tha Teng Market, a colorful ethnic minority food market. Next, explore a couple of fascinating minority villages – Ban Bong Neua, an Alak village boasting a sacrificial altar, and Ban Kokphung, a Katu village where coffins are kept under their homes. Arrive at the beautiful Tadlo Waterfall by afternoon. 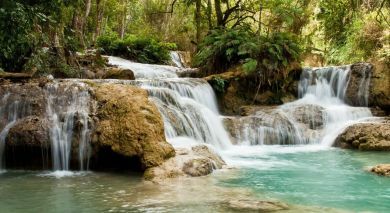 After a short rest here, journey back to Pakse stopping at another picturesque waterfall, Paxuam. Arrive back in Pakse by early evening.